I love this skirt! I am so glad that I bought it. I was not sure at first! This is the easiest skirt to maintain and it is so fun! Plus, I never have to iron it! Score! The maxi skirt was perfect choice especially because the HOT weather it back. Allows me to breathe while still staying cool. What a pretty skirt! 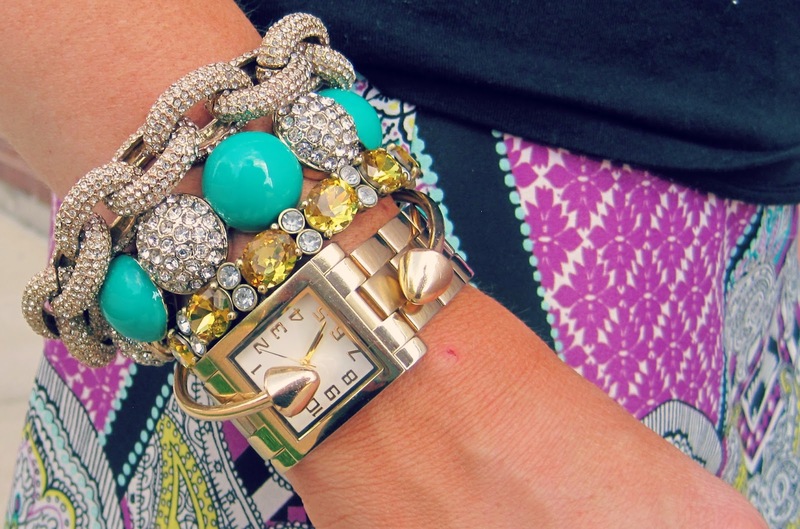 Love the bracelets too! Love this skirt! One of my favorites! What a gorgeous print on the maxi! Love this print! Thanks for reading! Oh I'm so the same way -if I don't have to iron or dry clean it, its a total WIN. Looking gorgeous as always, lady! You are so sweet! One of my favorite skirts! Oh my gosh, that skirt is AMAZING! Thanks Carly! Love this skirt! So fun! Great minds think alike! Love maxi skirts! Thanks Kahana! 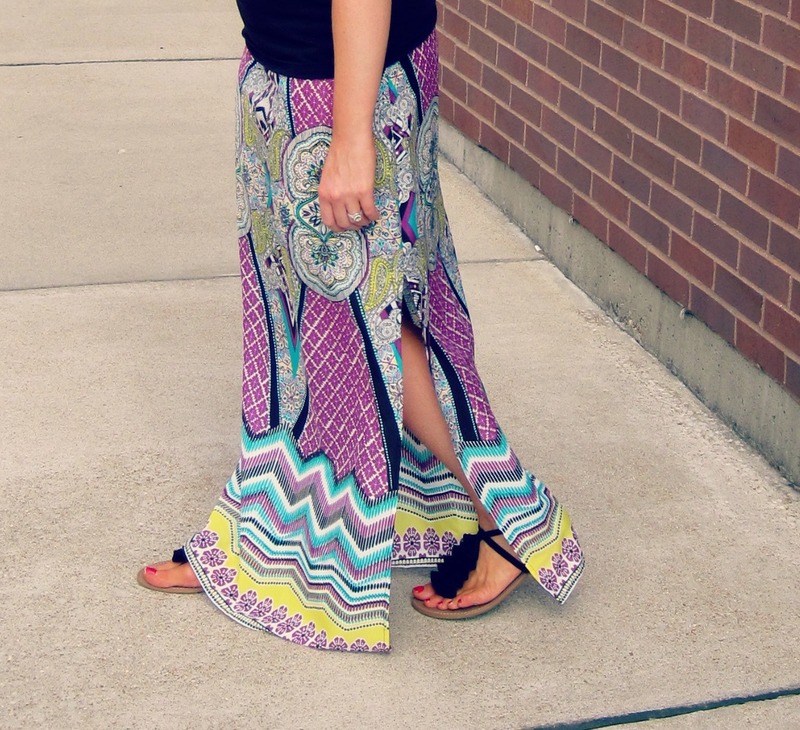 Maxi skirts are so fun! Especially in the summer! Love the colors in the skirt! It's a maxi and you don't have to iron it...perfect! Thanks Debbie! I love this skirt just for the reason of not ironing! Thanks Lauren! I love wearing bracelets! So much fun to put together!